Home » News » GRP garage doors – the best of all worlds? GRP is fast becoming the most popular material for garage doors and a great alternative to traditional steel or wooden garage doors. GRP stands for glass reinforced polyester, a polymer plastic composite reinforced by fibreglass. The material is tough, durable and easily maintained, providing security and style in equal measures. 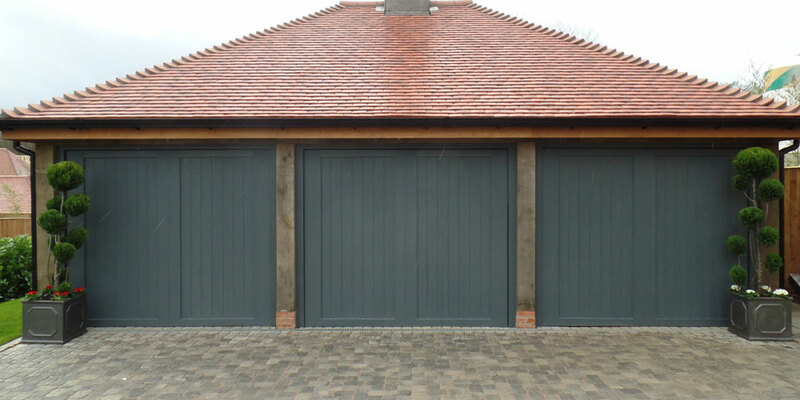 CDC Garage Doors is a leading supplier of GRP garage doors in the South of England. If you’re thinking of having a garage door installed in your home, here are the key reasons why we would recommend GRP. GRP is one of the strongest materials available for garage doors. The outer layer protects against the weather, able to easily shield your car and possessions from wind, rain and snow. The invisible insulated thermal lining and composition of the door means there won’t be any warps or bumps as a result of weather exposure. When it comes to home security, GRP garage doors are also an excellent choice. What’s more, the can be fitted with locking systems for extra protection. Rust and corrosion may be common problems with steel garage doors, particularly in coastal homes where the salty air can play havoc with metal door. GRP garage doors are unaffected by salt and will protect your home wherever you are in the country, giving you many years’ enjoyment. What’s more, GRP is fade proof, meaning even the strongest colours will stay bright for years, with no need to repaint. Finding the right style of door for your home is not a problem with GRP. The material allows for a huge variety of sleek design and colour choice. And if you like the look of a traditional woodgrain door, you will find it almost impossible to tell the difference between the real thing and a GRP version. This means you can have all the rustic charm your home desires without any of the disadvantages of a wooden garage door. Being a strong and durable material with no warping, corrosion or colour fading, there’s very little maintenance required for GRP garage doors. The material is also highly resistant to damage and can withstand knocks and bumps that would leave marks in other types of doors. All that’s required is the occasional wipe down with a damp cloth to keep your GRP garage door looking like new. 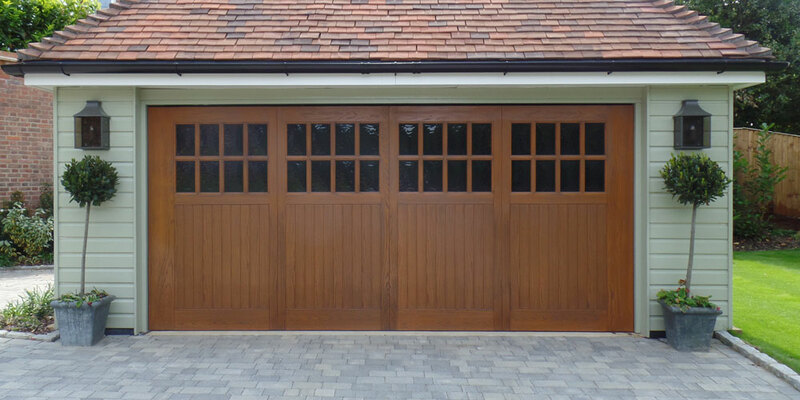 CDC Garage Doors have a wide range of GRP garage doors on offer in a variety of styles that can mimic traditional timber garage doors, up and over doors, side hinged doors and much more. Why not take a look at our Gallery or, better still, visit our showroom for a closer look? Contact us today for more information.